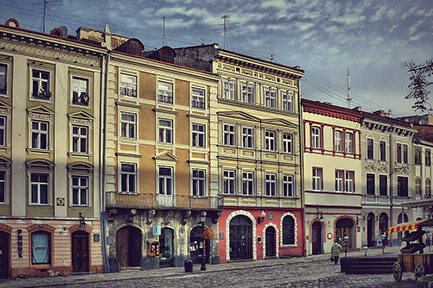 Square Rynok, Lviv is definitely the most famous area among tourists. It is a real open-air museum, because each of it’s houses, each sculpture conceals a great and interesting story. 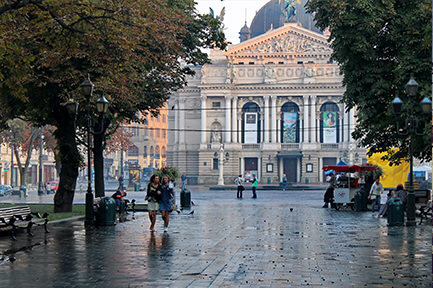 The names of streets in Lviv constantly changed, but the main square has retained its since the 14th century! It’s origin is German – from the word “derRing”, which translates as a circle or a ring. This is not widely known, but the Polish king Casimir III decided to make a real European city in Lviv in the middle of the 14th century. His desire was such – to build a city according to building technologies that were ideal for that time. Best of all, in his opinion, the Germans would have coped with this, so it was German builders and artisans who came to the construction of Market Square. And even though it all began with Germany, then the architects from Italy and Austria began to supplement the market with their culture and beauty. And looking at the Market Square in Lviv today, we can safely say that this is the most incredible and harmonious combination of architectural styles and levels – a combination of different eras and cultures. It is necessary just to peer, and asymmetry of the arrangement of the windows, different house height, different color and shade. And each of the houses on Market Square is a truly special one. What to see at the Market Square? The main attraction on the Market Square is, of course, the City Hall, which was once the City Hall or the Magistrate. It was built by Vladimir Opilsky at the end of the 14th century. The appearance of the town hall was constantly changing, and the present view of the Magistrate was found only in the middle of the 19th century! Lviv City Hall is surrounded on all sides by sculptures. There are four of them: Neptune, Adonis, Amphrita and Diana in the center of the fountains. Each of the sculptures looks just fine and today is a gathering place for young people and tourists, a favorite point of street musicians. The height of the tower itself is as much as 65 meters, and a large clock (dial with a diameter of 3 meters) was set at its very top! And going up there is not so easy – you have to overcome in total 400 steps. But believe me, it’s worth it – an incredible panorama of the city will definitely exceed all expectations! 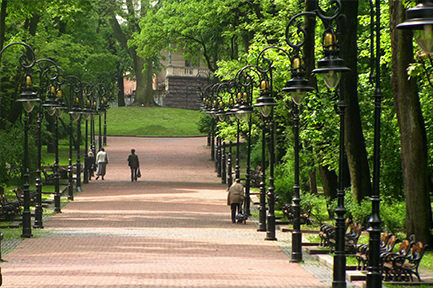 Special attention should be paid to such sights located on the Market Square as the “Palace of Kornyakt” and “Black Kamenitsa”. “Black Kamenitsa” is really black. And yet – it is decorated with sculptures. And it looks just incredible! To date, there is one of the exhibitions of the historical museum, where you can view more than 300 thousand different exhibits – learn about the history of medicine, the creation of medicines, the secrets of alchemy. Having passed all 16 rooms, people will pass more than one epoch (from the Middle Ages to the 19th century) – after all, the interiors and furnishings remain the same as they once were. Kornyakt Palace was built by the Italians. Of course, it was rebuilt more than once, but still a piece of real 15th century Gothic remained here – an incredible Gothic hall, which simply impresses with its grandeur! It is impossible not to visit the so-called Italian Courtyard – a place where you will feel somewhere in Verona or Florence, a place somewhere Shakespearean motifs once heard and small talkers sounded. 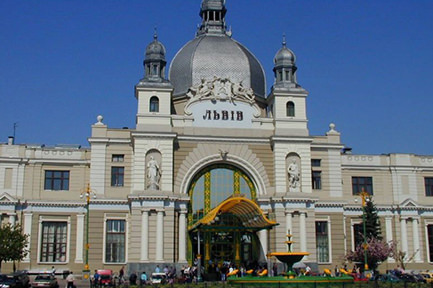 The best choice for tourist accommodation for everyone who came to Lviv is a hotel. Market Square is a historic place, there are not so many hotels here. That is why it will not be so easy to find a hotel in the square. 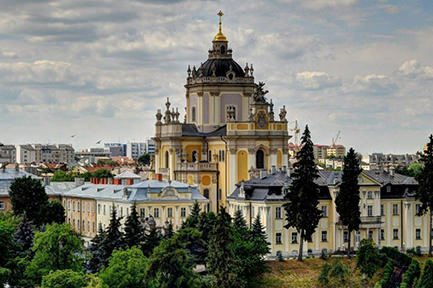 Lviv, though big, but all the sights are not so far from each other. And this is good news! The most rational choice is clearly not a hotel at the square. 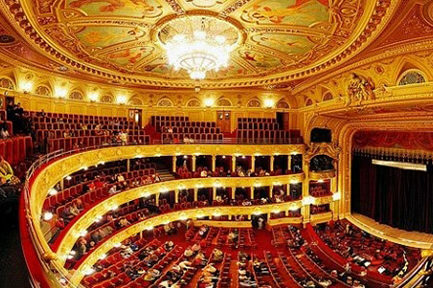 Lviv offers the best option very close. If you are looking for hotels in Market Square, be prepared for constant noise. There are always some celebrations late at night here. And if peace and quiet are important for you, we are pleased to invite you to stay in our hotel! Hotel “Edem” is just 10 minutes walk from the main square of the city. 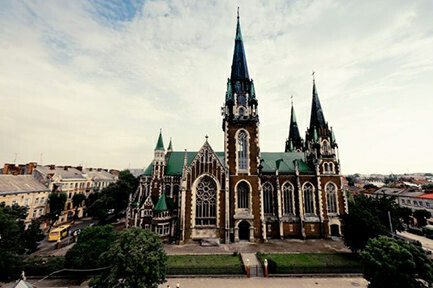 We offer free parking for our guests, quality service, comfortable rooms and real Lviv hospitality!